Geothermal exploration and development could occur in popular forest region. The Mt. Baker-Snoqualmie National Forest, one of America’s most well known forest areas located in Washington State, east of Seattle, is considering the idea of permitting the exploration and development of geothermal energy on federal lands and is seeking comment from the public about the idea. An unnamed company is interested in leasing acreage around the volcano. Geothermal power has already found success in California, Nevada and other US states, providing clean energy for millions of people. As such, the Forest Service is considering offering leases in the Mount Baker area to see if it can benefit from tapping into this renewable resource and, so far, one anonymous company has already shown interest in leasing. Environmental concerns have been raised about geothermal energy exploration. While Mount Baker may be an ideal geothermal hotspot, discovering and tapping into this renewable source requires the creation of several wells that are drilled down thousands of feet into the earth. Pressurized water is pumped down into the wells and volcanic heat transforms the water into steam, which returns to the surface where it powers turbines and produces electricity. Due to the exploration and operation process, this has lead to environmental concerns, such as the potential of earthquakes that may result from injecting pressurized water or a process known as hydroshearing. Pollution from chemicals is also worrisome. Therefore, any leases offered by Mt. Baker-Snoqualmie National Forest would include certain restrictions designed to protect waterways and old growth forests. Furthermore, the wilderness would be off-limits. At the moment, the Mt. 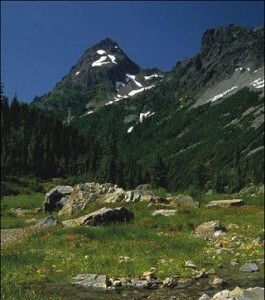 Baker-Snoqualmie National Forest has only nominated acreage. No specific geothermal energy exploration proposal has been made. The earliest a lease decision will be made is next Spring, after an environmental assessment. If this is approved it will be followed up by an analysis that is more site specific. Public comment regarding the idea is welcomed until December 1.